Quite a few of our friends have told us that they want to volunteer, but don't know what they can do or where they should go. That is why we created The Volunteer Switchboard. 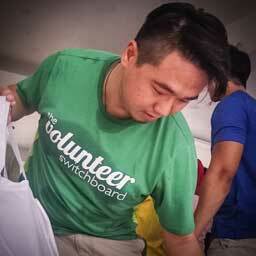 The Volunteer Switchboard is a social enterprise that partners with various VWOs to understand the needs of the targeted beneficiaries and design bite-size yet purposeful volunteering programmes to create sustainable impacts to the causes that we passionately believe in – children, youth, seniors, special needs & underprivileged. We have recently launched our brand new platform on 1st October 2016 to help fellow organisers help others! We envision a community that exemplifies effective altruist values, where people share their blessings generously with others, and contribute to a prosperous and inclusive society. Our mission is to skill-it-forward to help other organizations to strengthen their capability and capacity, and collaborate effectively with one another. How We Started Our Programs? We are a group of friends who have been volunteering together with more than 20 years of volunteering experience amongst us. When we first started, we thought, “Why not? We are one lucky bunch with families who provided us with good education… And that gave us a fair shot at our career and future. Why don’t we share our good fortunes with the less fortunate?” And so, we went into volunteering with the notion that we could be helping others. Little did we realise that during this process of “helping others”, we were in fact also helping ourselves (a cliche, but heartfelt sentiment). Volunteering has indeed transformed us. We are no longer individuals who are self-focused as we have learnt to take a genuine interest in welfare of others in need. And we want to share this transformative & rewarding experience with you through our bite-size yet purposeful volunteering programmes to create a sustainable impact to the causes that we passionately believe in – children, youth, seniors, special needs & underprivileged! With the growing support that we are blessed with, we are even more determined to continue to learn about the issues impacting the wider communities and contribute to the causes that matter. We invite you to join us on our journey of learning and unlearning. Why We Started Our Platform? As a matter of fact, when we first started The Volunteer Switchboard in 2013, we were contemplating if we should leverage on our data management expertise and the creative use of technology to create a single platform that will "connect good people to good causes". In our professional workplace, we have experienced the power of technology and wanted to share best practices to strengthen the capability and capacity of the social service sector. Why haven't we done it yet? Long story short, we decided to focus on our programs first. Throughout our volunteering journey, we were inspired by many new amazing friends in the volunteering space but also saddened by the departure of those who were not able to sustain their initiatives due to lack of funding or support. As we re-evaluated our common challenges in 2015, it became obvious that the need for an IT solution is vital in creating greater capacity and sustainability. As organisers, we wanted a simple and structured way of managing our events, volunteers and data! And nothing in the market really solved our problem – it was either too complex or too expensive! And we spoke to our fellow ground up initiatives, we realized that we were not the only ones facing this challenge! It took us a while (and a lot of courage) but we finally decided to venture out to build a volunteer management tool that works for us and our fellow change makers! Together, let's collectively continue to do our part to grow an effective and impactful social services ecosystem! Meanwhile, be very patient with us as we launch our beta version of the system in October 2016! Your feedback is much appreciated! It all began when a geeky banking operations executive "gently" arm wrestled her banking friends to embark on a road less travelled - to connect good people to the good causes that she genuinely cares about! Fiercely protective of her family and friends, she brings the exact same traits to the people that she humbly serves. This self proclaimed introvert loves a good laugh with her friends when she finally crawls out of her comfortable bed. Armed with a genuine passion to do good, she hopes that she will be able to rally the people around her to pay it forward! 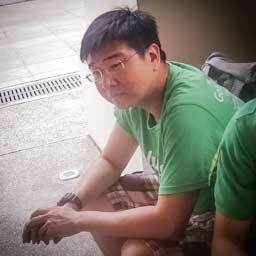 Mr. Scrooge, our bookkeeper who’s eyes never failed to light up at every mention of "income”. The grimmest person in the group when he grounds most of our utopian ideas with his reality checks…the necessary evil that has kept us running till today. This logical, systematic and efficient project manager sounds humourless until he starts spewing his very own Singlish terms at you. Enjoys hanging out with friends and playing mahjong (thinks strength in math is a huge advantage). Wishes to lead by example in practising the right values of being a volunteer himself. The feisty disciplinary mistress who ensures that we arrive early for our events as a form of respect for every precious minute of our volunteers' time. Contrast her strictness towards us with the genuine warmth she exudes towards other like minded people, there is no one better suited for the Volunteer Manager role than this affable girl (as long as she gets her dose of kopi o kosong to start the day). This cheeky yet no-nonsense data analyst strongly believes in paying it forward and being of service to our local community. The joker, or rather, the joke of the group who takes care of design, website, social media, photography and such. Bothers to shave her head (DIY) twice a month, but is usually too lazy to leave her house if not for work, volunteering, golf, or anything necessary. With the memory of a goldfish, this totally un-geeky sort of games programmer is always curious (probably due to the sheer amount of re-learning required) about how things work, including the universe. Believes that by influencing people to sow the seeds of positivity today, everybody can enjoy a better world tomorrow. Our OCD guy whose attention to detail is perfectly suited for events planning. Acting as our part-time techie help desk, this mischievous process improvement analyst enjoys inciting peers to purchase the cool new gadgets that he himself fancies. Happily adopts Apple’s approach of making willing parties the guinea pigs of his experiments, particularly his spirited cocktail recipes (pun intended). While appreciative of his time spent with friends, he firmly believes it to be a privilege to help others. Digs the Starfish Story, where every step taken leads towards changing the world for the better. We don’t call her “Auntie Valerie” for nothing. This IT sales woman of 15 years has become so sensitive to prices that she is now our biggest asset at sourcing for the best deals to stretch our dollar. To unwind from her workaholic self and altruistic duties, this ditzy auntie would glue her body to the couch at home and indulge in her favourite secret activity - watching anime (or simply Japanese cartoons in layman's terms). Loves meeting people from all walks of life and seeing a genuine smile on their faces, especially during the course of volunteering.